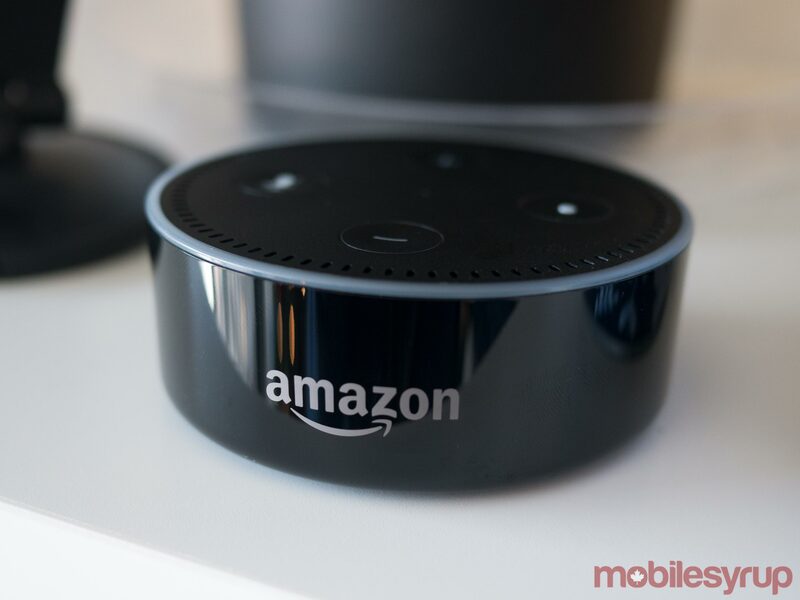 Years after Amazon first launched the first Echo, the company has finally opted to release some of its newer smart speaker devices in Canada, including the second-generation Echo, the Echo Plus and finally, the tiny, low-cost Echo Dot. 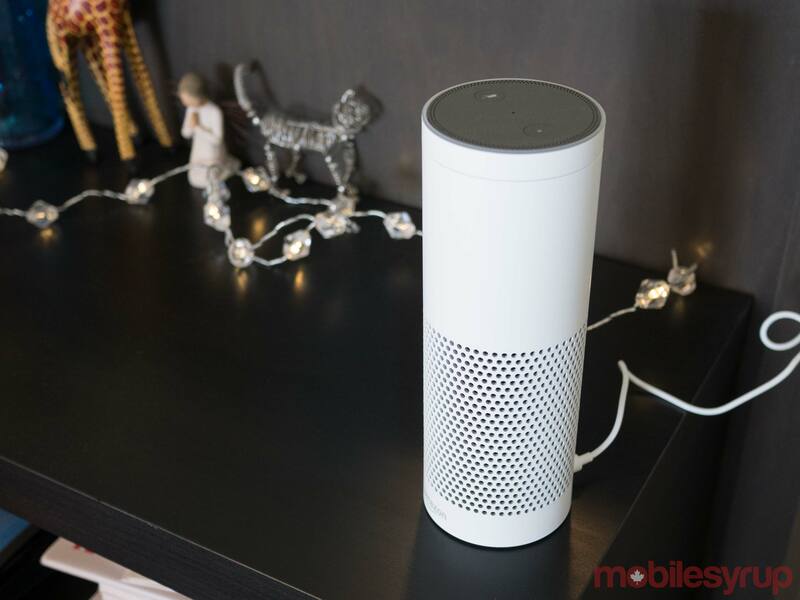 It’s unclear why Amazon decided 2017 was the year to bring the Echo to Canada, but the decision was likely prompted, at least to some extent, by the release of Google Home in the Canadian market a few months ago. Strangely, Amazon has not opted to release the camera-equipped Echo Look or the Echo Show, a version of the device that features a display, in Canada — however, it’s possible the smart speakers could make their way north of the U.S. border at some point. 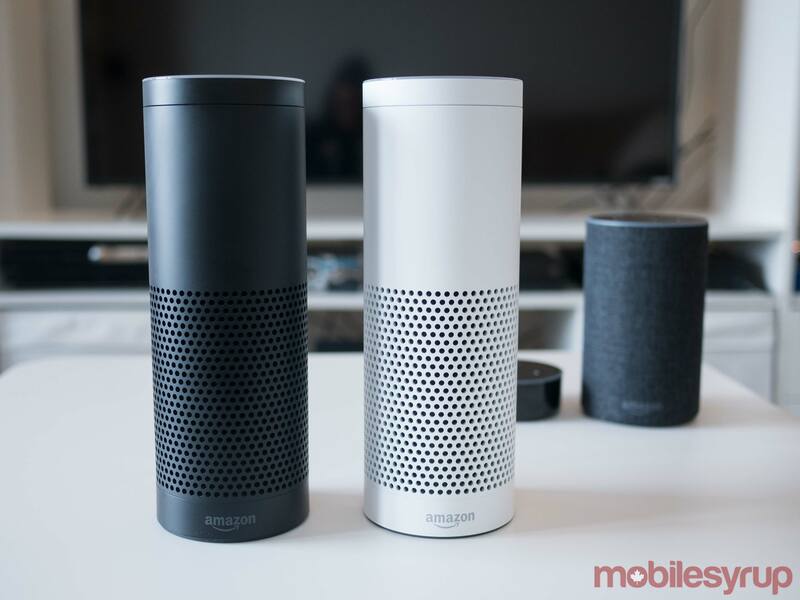 It’s also worth noting that while Amazon’s Echo devices weren’t previously officially available in Canada until earlier this month, it was still possible to get them up and running here if you were able to get your hands on one. In fact, I’ve been using a first-generation Echo to control my smart home devices through voice commands, for roughly two years now. It’s worth noting that all U.S. Echo devices can’t be switched over to support Canadian english. There are also a few notable differences between the Google Home ecosystem and the features that Amazon’s Alexa and Echo offer. For example, since the Echo and Alexa have been around longer than Google Home and Assistant, Amazon’s smart home accessory integration is better in terms of compatibility. Also, there are dozens of skills available for the Echo, ranging from posting messages directly to Slack, to playing simple quiz games. Home, on the other hand, is more capable when it comes to understanding conversational language, as well as answering simple questions because Assistant is powered by Google’s years of work in search and machine learning. 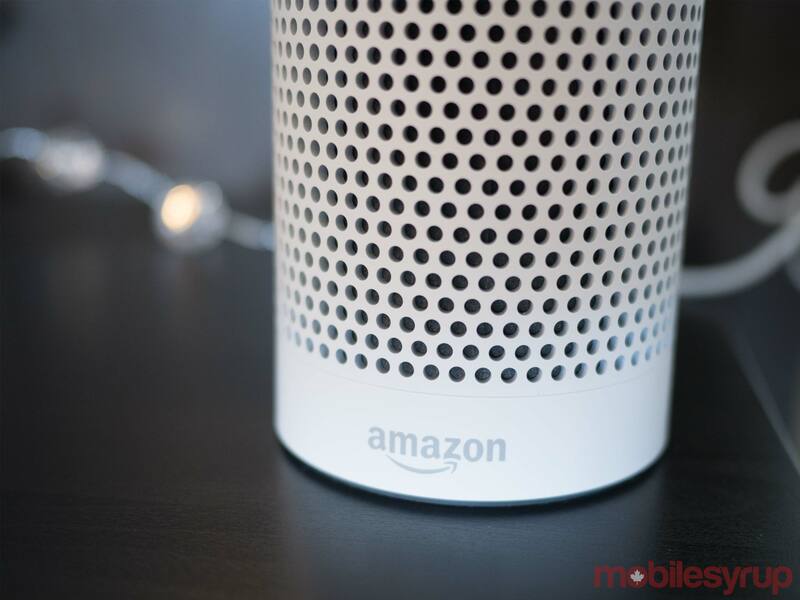 If French language support is a key feature for you, Home is also a better option given Alexa doesn’t currently support Canada’s second official language. 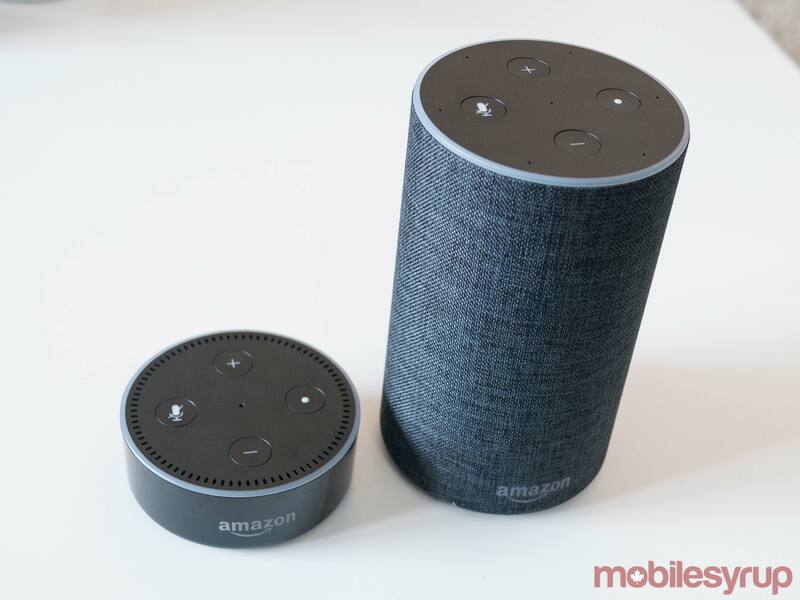 With the 2nd Gen Echo, Echo Plus and Echo Dot finally shipping to Canadian consumers via Amazon.ca and variety of other Canadian retailers, Ithought it would be a good time to take a quick look at each device and weigh its pros and cons, as well as how the devices compare to Google’s smart speaker offerings. 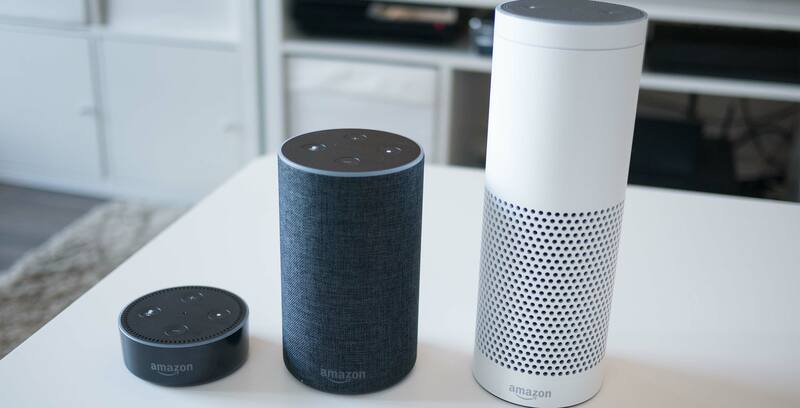 While it’s roughly the same size and prize as the Google Home Mini, the Echo Dot is a significantly more capable standalone voice-activated speaker. Beyond its more reasonable $49 price tag, the Dot is actually a solid smart device, as long as you have a compatible Bluetooth speaker around. The Dot’s built-in speaker is horrible in terms of sound quality, matching the competing Home Mini on the this-thing-sounds-so-bad-it’s-like-I’m-in-a-cave front. This is partially because the Echo Dot only comes equipped with a tiny 15mm speaker, whereas the Home Mini’s speaker measures in at 40mm by comparison. As a result, the Home sounds slightly better. On the plus side, the Dot is capable of connecting to almost any Bluetooth speaker, with the actual unit acting as only a microphone. The connection process is simple, but the fact the Bluetooth speaker needs to be turned on could be an issue for some, given the inherent idea behind the Echo is that it’s a speaker that’s always listening and available with a quick voice command. It’s also possible to plug a compatible speaker into the Dot via the device’s 3.5mm auxiliary port. The Dot’s response to voice commands is less than stellar when compared to its more expensive counterparts, too. Don’t get me wrong — the speaker still heard me probably 90 percent of the time when saying audible commands while sitting across my apartment. That said, there were a number of instances where the Echo either didn’t hear me at all, or misinterpreted specific commands. 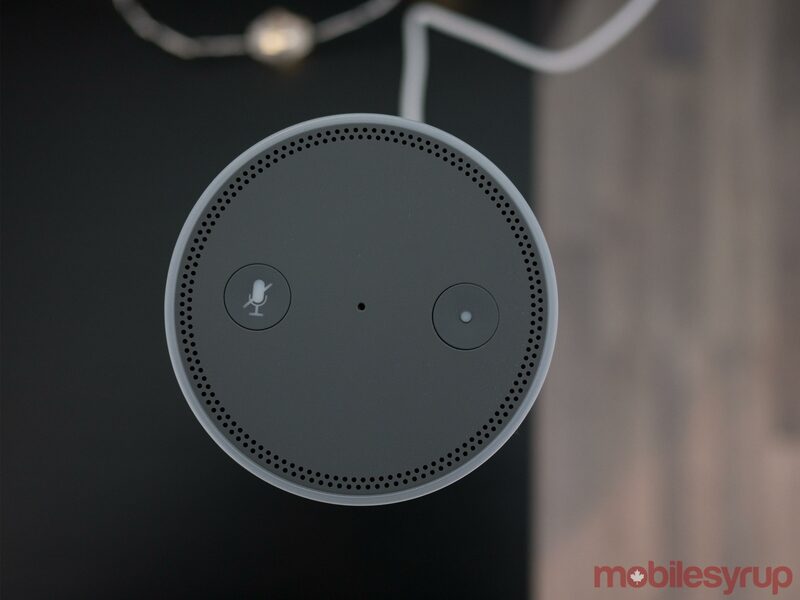 In total, the Dot measures in at just 32mm tall, which means it’s 20cm shorter than its larger brother, the 2nd Gen Echo. Generally, I prefer Amazon’s Echo Dot over Google’s Home Mini. Also, if you’re looking to get into the smart home space while trying not to break the bank, the Echo Dot is one of the most affordable and best options out there right now. The Echo Dot is priced at $49 in Canada. In comparison, the Google Home Mini is priced at $79 (though it’s on sale right now for $39). The 2nd Gen 2017 Amazon Echo is largely the same device as its first-generation counterpart. Sound quality has been improved significantly thanks to the device’s 63.5mm subwoofer and 16mm tweeter — seriously, the 2017 Echo sounds great and is an impressive step above the original version of the device. Music does lack bass and instruments tend to get lost in the mix at times depending on what platform you’re streaming music from (I typically use Spotify). However, if you set your expectations appropriately, (the speaker isn’t up to the quality of Sonos’ offerings) then you’ll find a lot to like about the 2nd Gen Echo. One thing is abundantly clear, however: the 2017 Amazon Echo sounds significantly better than Google Home. The same can be said about the device’s microphones, which have now been increased to seven. The speaker is able to hear me in almost any circumstances, even when I was watching TV at a loud volume, or when friends were over. The device is also able to connect to external speakers via Bluetooth and a built-in 3.5mm auxiliary jack, just like the Dot and Plus. The design of the Echo has also been changed in the latest version of the device. The 2017 Echo is more stout when compared to its predecessor and is also covered in fabric, similar to the lower half of the Google Home. This means the speaker will likely fit in better with the decor of most homes. While I’m fond of the original Echo’s aesthetic — the Echo Plus still features this look, too — it has a decidedly tech device feel to it. The new version of the Echo, which is available in ‘Charcoal,’ ‘Heather Grey’ (this is my favourite), and ‘Standstone Fabric,’ comes in at $99 price tag, compared to the Google Home’s $179 price tag (it’s on sale right now for $149). Finally, we have Amazon’s highest-end smart speaker offering, the Echo Plus. In the Canadian market at least, this device sits in a league of its own since Google hasn’t said when it will launch the Home Max in Canada. The only smart speaker that sits in this category is likely the Sonos One, though it lacks the Echo’s smart hub features. The Echo Plus looks identical to the first-generation device, with the only difference between both voice-activated assistants being their internals. The device features seven far-field microphones, a 63.5mm woofer and a 20mm tweeter, with built-in Bluetooth functionality for connecting to external speakers, as well as a 3.5mm auxiliary jack on the rear (this feature was previously exclusive to the Echo Dot). 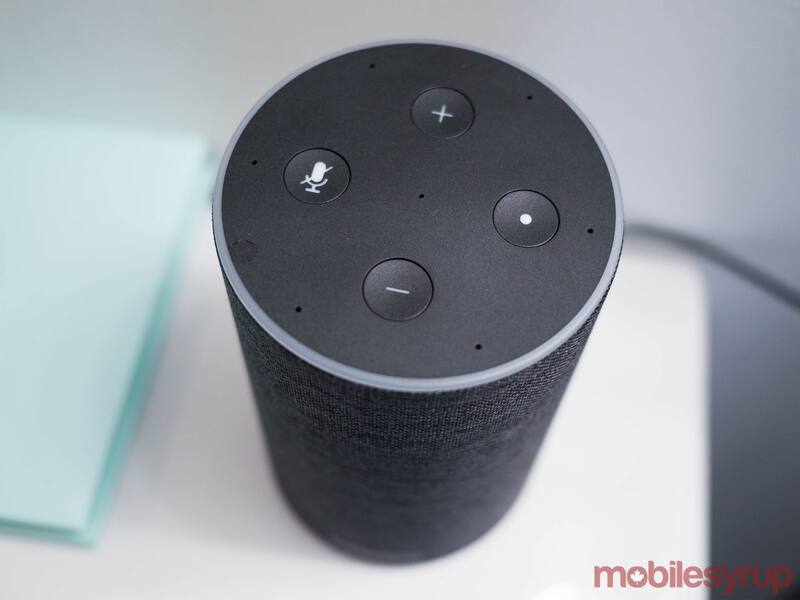 Amazon claims that the Plus’ sound quality has been improved through the inclusion of ‘Dolby Processing.’ Comparing the device to the original Echo certainly reveals a difference, though the update is less noticeable when pitted directly against the 2017 Echo. It’s also worth noting that just like the 2017 Echo, the Plus doesn’t produce a significant amount of bass. The main draw with the Echo Plus is its built-in smart device hub. This means any device that utilizes Zigbee — a type of wireless protocol many smart devices feature — is compatible with the speaker and that compatible devices like Philips’ Hue smart lighting system can be controlled without a dedicated hub of some sort. While useful, the utility of this feature will really depend on your interest in smart home products, as well as what accessories you already own. With this in mind, if you’re planning to gather devices for a smart home product, the Echo Plus can act as a smart home hub, as well as a great way for controlling your disparate devices. Disappointingly, the Echo’s hub functionality doesn’t support Apple’s HomeKit, Samsung’s SmartThings or any device featuring Z-Wave, another popular smart product wireless protocol. The device measures in at a rather substantial 235mm tall and 84mm wide and comes in black, white and silver. The Echo Plus is priced at $169 in Canada with an included Philips Hue smart lightbulb.